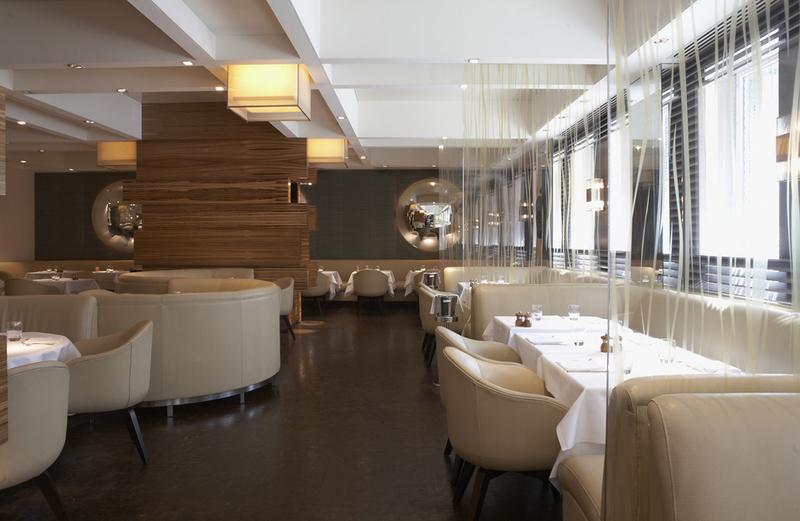 This superb restaurant within the Hyatt Regency Hotel The Churchill opened in 2002 as the first solo venture of Giorgio Locatelli (formerly Head Chef at Zafferano) and has since won praise from virtually every visitor and the Michelin men who first awarded it a star in 2003. The decor is reminiscent of the more stylish side of the New Romantic era, all tasteful drapes and elegant retro fittings, and the service is bright and friendly. The menu includes Italian classics and a few innovative twists, but the strength of this menu comes from the total commitment to ingredients. All the food is sourced from Italy and all pastas, marinades and the likes are freshly made on the premises. Such attention to detail gives the ideal foundation for classic Italian cooking. Every menu item here is cooked in a simple but loving style, and the well-balanced dishes allow the flavours to shine through. Competing for the title of "best Italian kitchen in London", you'll have to book early but it's well worth it for a meal that will stay with you for years to come. First class. Locanda Locatelli gyms, sporting activities, health & beauty and fitness. The best pubs near London Locanda Locatelli. Locanda Locatelli clubs, bars, cabaret nights, casinos and interesting nightlife. Where to have your meeting, conference, exhibition, private dining or training course near Locanda Locatelli. From cheap budget places to stay to luxury 5 star hotels see our special offers for Locanda Locatelli hotels, including Hyatt Regency London The Churchill from 76% off.